The MOVIGEAR® mechatronic drive system is designed for flexible use across various communication infrastructures. This makes it ideal for decentralized applications in the field. With its compact design and optimal integration of components with permanent-field synchronous motor, gear unit, and integrated electronics, MOVIGEAR® is especially tailored for efficient use in the general materials handling sector. You too can benefit from MOVIGEAR®, which is available in two sizes and three electrical performance classes for a total of four communication variants. With MOVIGEAR® , you can achieve energy savings of up to 50% for your system. This is made possible by the seamless interplay between the IE4 efficiency class motor, efficient gear unit, and integrated electronics. Perfectly matched components and the energy optimization of the overall system facilitate high system efficiency. These features make the MOVIGEAR® mechatronic drive solution a cost-effective, power-optimized complete solution. This particularly applies if reliability, long service life, and high system availability are your top priority. 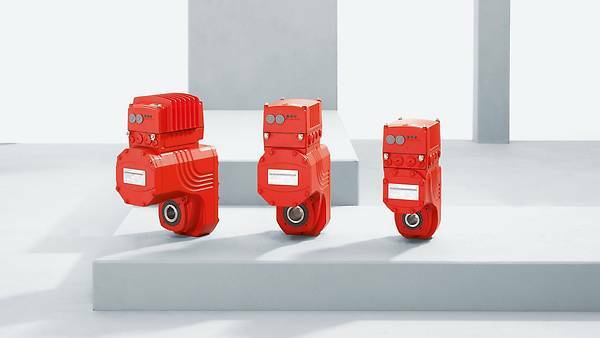 Thanks to their design-related advantages, MOVIGEAR® drives are both an integral part of numerous MAXOLUTION® system solutions and are also widely used for applications in stationary materials handling technology. Its practical flexibility and high efficiency make MOVIGEAR® a forward-looking solution – experience its exceptional performance for yourself! For specific requirements in wet area applications, we offer a version of MOVIGEAR® that is specially designed for wet areas.